I am starting a wee weekly thing or feature whatever you want to call it, called The Sunday Round-up. I’m back!! 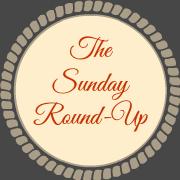 Starting this week I am changing up the Sunday Round-up to include any new things I am doing, rather than just my bullet list of what I did during the week, you know just to mix things up a little! I am loving this song and still my most played this week. All caught up with Season 3 of Santa Clarita Diet, not sure what to watch now! I am back playing Warcraft, working on my Horde character – finally got her to max level (currently sitting at 120 for this expansion) and now I am working on the Horde story line to see its point since I am always playing an Alliance character. Bought paint finally to do the kitchen! The kids are back at school next week after being off for Easter break so I may make a start when I have peace to do it!